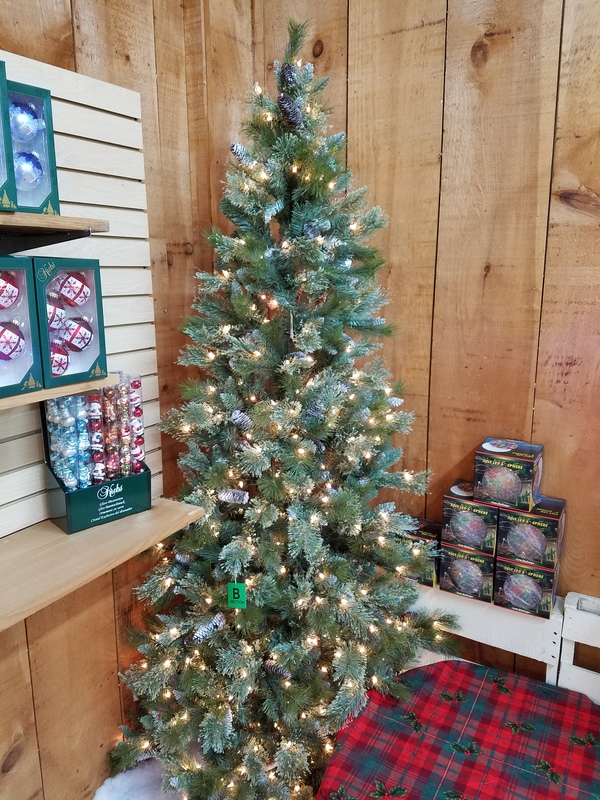 The Boulder tree features 3-piece, hinged construction and blue/green, PVC mixed tips – all aglitter in both cashmere and tapered, with clear mini incandescent lights, pine cones and a frosted finish that makes this tree glow with country charm. Comes with green metal stand. 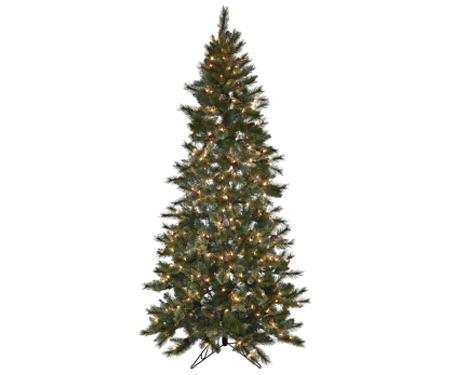 Size/Base 7′ H/ 46″ Dia.